Step out of Tampere with an excursion to Hame Castle in Haemeenlinna--about 1h 15 min away. see Sarkanniemi Theme Park. Next up on the itinerary: take in panoramic vistas at Pyynikki Park and Observation Tower, stroll through Rauhaniemi Beach, steep yourself in history at Amuri Museum of Workers' Housing, and make a trip to Nasinneula Tower. To see maps, ratings, traveler tips, and more tourist information, go to the Tampere trip planner . Helsinki to Tampere is an approximately 2-hour train ride. You can also drive; or fly. October in Tampere sees daily highs of 8°C and lows of 0°C at night. Wrap up your sightseeing on the 22nd (Mon) to allow time to take a train to Kuopio. Kuopio is a city and a municipality located in the region of Northern Savonia, Finland. On the 23rd (Tue), test your team's savvy at popular escape rooms, take in the architecture and atmosphere at Lutheran Cathedral, explore the world behind art at Kuopio Art Museum, then get a sense of history and politics at Kuopio Market City Hall, and finally take in panoramic vistas at Puijo Tower. To see maps, more things to do, and tourist information, you can read our Kuopio online road trip planner . Traveling by train from Tampere to Kuopio takes 3.5 hours. Alternatively, you can drive; or do a combination of train and flight. In October, daily temperatures in Kuopio can reach 7°C, while at night they dip to 1°C. Finish your sightseeing early on the 23rd (Tue) to allow enough time to drive to Savonlinna. On the 24th (Wed), step into the grandiose world of Savonlinna Cathedral, pause for some photo ops at Savonlinna Herostatue - The Hero's Grave, look for gifts at Taito Shop Savonlinna, browse the fresh offerings at Savonlinna Market Square, then pause for some serene contemplation at Pikkukirkko, and finally step into the grandiose world of Olavinlinna Castle. 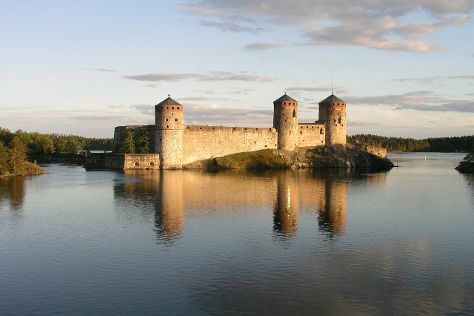 For reviews, ratings, other places to visit, and other tourist information, you can read our Savonlinna trip planner . You can drive from Kuopio to Savonlinna in 2.5 hours. Alternatively, you can do a combination of train and bus; or take a bus. In October, plan for daily highs up to 7°C, and evening lows to 1°C. Wrap up your sightseeing on the 24th (Wed) early enough to drive to Lappeenranta. 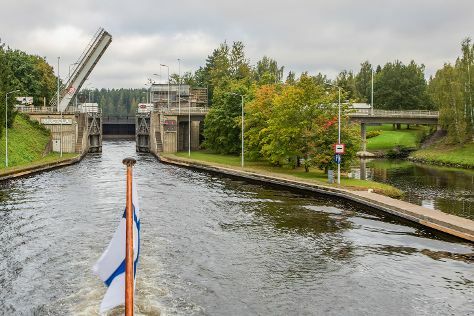 On the 25th (Thu), explore the activities along Saimaa Canal, pause for some serene contemplation at Joutsenon kirkko, pause for some serene contemplation at Church of the Intercession of the Mother of God, then examine the collection at Lappeenranta Fortress, and finally don't miss a visit to Sandcastle Lappeenranta. To see photos, more things to do, traveler tips, and more tourist information, go to the Lappeenranta trip planner. You can drive from Savonlinna to Lappeenranta in 2.5 hours. Other options are to take a train; or take a bus. In October, daily temperatures in Lappeenranta can reach 8°C, while at night they dip to 1°C. Wrap up your sightseeing on the 25th (Thu) to allow time to take a train to Kouvola. Kouvola is a town and municipality in southeastern Finland. 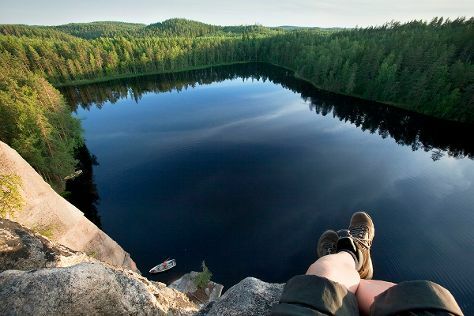 On the 26th (Fri), explore the wealth of natural beauty at Repovesi National Park. Get ready for a full day of sightseeing on the next day: have fun and explore at Kouvola Model Railroad Museum and then find something for the whole family at Tykkimaki Amusement Park. For reviews, photos, traveler tips, and more tourist information, read our Kouvola vacation planner . You can take a train from Lappeenranta to Kouvola in an hour. Other options are to drive; or take a bus. In October, plan for daily highs up to 7°C, and evening lows to 1°C. Finish your sightseeing early on the 27th (Sat) so you can take a train back home.